Hubway Reopens for the Season with Party and Free Food! 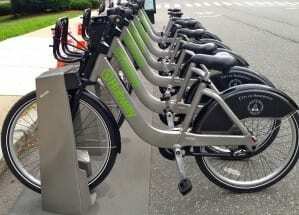 Hubway will open for the season on April 2, 2014 and will be hosting a grand reopening party! Stop by the New Balance Boston store at 583 Boylston Street from 12pm to 2pm on Wednesday to celebrate. The Grand Reopening Party will include free Boloco, free Ben & Jerry’s ice cream, free Hubway 24-hour pass, giveaways, and much more! The best part: it is free to attend!